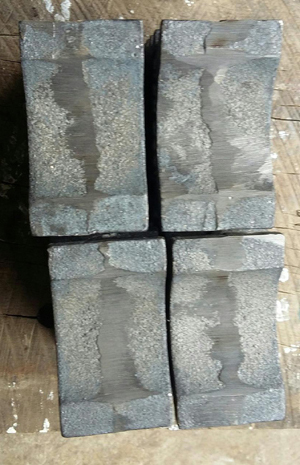 A swage (or swedge) block is a large, heavy block of cast iron or steel used in smithing with various sized shapes in its face and forms on the sides. Operations performed on a swage block include but are not limited to bending, cutting, punching and forming with the use of a hammer. The primary feature for the artist blacksmith is the bowl and semispherical depressions. The sides are usually scalloped with half rounds, 90 degree V grooves and half hexes to present formed shapes for forging operations. You can use the sides to forge gun barrels, or to make the curve on a wheel or finish a wheel rim. Other shapes, such as the half hexagon, can be used with a matching fuller (die) to form a hexagonal cross-section on a bar.